The Lord has allowed us to continue our Sunday sermon series through the book of Acts, and we have just finished chapter 11. Through the study of this book, the church has been helped by seeing that even our brothers and sisters in the earliest days of the church suffered afflictions, tribulations, and persecutions of different kinds, just as we continue to experience in our own day. Still, they were willing to give up their lives for the Lord and they remained faithful to the end. I would say that one of the things that describes the congregation in which the Lord has placed me is suffering—but suffering with joy. There are a lot of people in our church that suffer from illnesses, others face opposition from family members and spouses because of their commitment to Christ, and most live in serious poverty. When we came to Acts 5:41-42, we read that apostles went away rejoicing because they had suffered for the cause of Christ. They felt a sense of honor in having been allowed to experience affliction in the name of Christ. This truth has helped us as a church to continue moving forward in the midst of our own afflictions. I’ve heard many of the brothers and sisters in our church say things like, “I’m not going to abandon Christ. I’ll continue pressing on. My faith is fixed on Christ and even if I die because of it, I want my family to see that nothing could separate me from Him.” Though our suffering isn’t to the same degree that we see in the book of Acts, it is still very present in the life of our church, and in the midst of it the Lord is giving us confidence to endure. Another member of our church named Felicita suffers from osteoporosis and has lost the use of 90 percent of her body. Still, she is full of encouragement and faith. It’s very difficult for her to come to our church meetings, so the members of our church have begun going to her house where we have a worship service together. In those services she invites her relatives to join us, and they have an opportunity to hear the gospel. One of the members of our church named Isabel is now a widow with two children. Everyone in the church is very conscious of her situation and the challenges she’s facing. A group of the brothers and sisters have begun meeting in her home for a Bible study in order to encourage her, and she’s been very grateful for it. Also, the whole church generously gave an offering for her family and has committed to bringing food and other household supplies to her house every month. Each of these examples is evidence of how the Lord has used the book of Acts to grow our church, since this kind of fellowship is what we see the church doing in Acts 2:42-47 and Acts 4:34-35. The Lord has helped us to maintain a beautiful environment of unity, love and mutual help among the believers. I trust He will continue to glorify Himself through these types of good works. Another way that our study through Acts has helped us is in the area of evangelism. We’ve seen that while it’s the pastor’s responsibility to preach, it isn’t just the pastor that has the responsibility to proclaim Christ; it’s the responsibility of all believers. In Acts 8:4, when persecution began it wasn’t just the apostles that bore witness to Christ, but rather “those who had been scattered went about preaching the word.” Proclaiming Christ should be a be a part of our entire life as Christians. 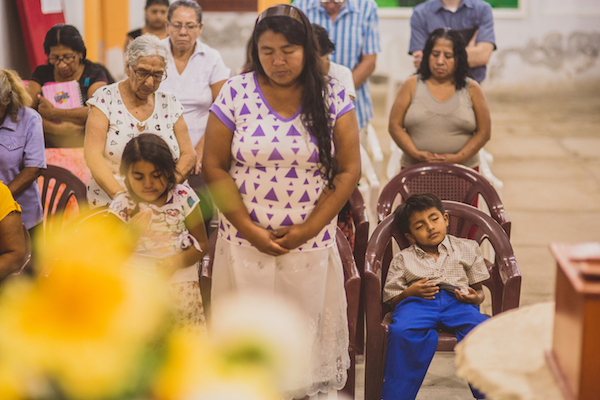 Some of the ways that we proclaim the gospel as a church are through our open air meetings, as well as through the meetings we have in homes, where family members and friends are invited. Also, I’ve been reminding the church of the importance of sharing the gospel in all the different relationships we have: with our children, our relatives, our friends, etc. There is always an opportunity to talk about salvation in Christ. For example, when I was at the market, I overheard the lady that was working say, “There is so much evil in this world. It’s terrible.” And it gave me the opportunity to begin telling her about the condition of mankind in sin and the judgment to come, and to tell her about the salvation that is in Christ Jesus. She listened to me while I spoke, but in the end she dismissed what I was saying. There are a lot of people that want to talk about the evil of this world, but they are not willing to hear what the Lord says about what we are—we who are the cause of the evil. 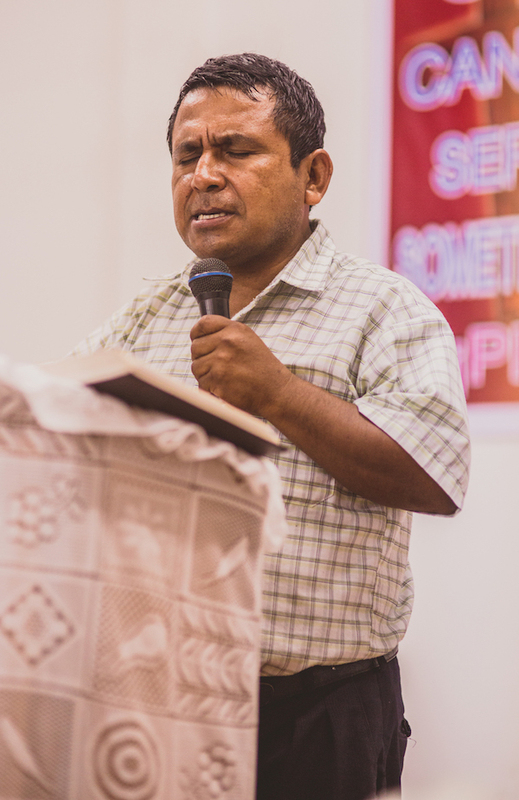 The Lord also gave me the opportunity this month to preach the gospel to more than 100 people. A friend—a brother in Christ that attends a different congregation in our city—invited me to preach at his father-in-law’s funeral. The funeral lasted three nights, and I was able to show condition of the sinner, the need for salvation, and the justice and judgment of God. I don’t know if anyone was converted through those sermons, but the word was preached. I saw that there were a lot of people that listened attentively and I’m thankful to God that He gave me this opportunity to sow His precious seed. These false teachers have tried to visit some of our church members, since many of them suffer permanent illnesses. Thankfully none of them have been carried away by these false doctrines. They’ve continued to be faithful to the Scriptures. I’m thankful to God for everything He allows us to do for His cause, knowing that none of is done in vain. I ask you to pray for me and for our congregation.